Seafarers are one of the main engines driving economic growth in the maritime sector. The International Maritime (IMO)Organization estimated that there were approximately 1.5 million seafarers around the world engaged in international trade in 2012. Datahave shown that human casualties in maritime accidents around Japan have shown an increasing trend over the last ten years. One causeis human error, which is inseparable from the human element that influences mariner’s decisions and actions. The Personal Identification(PIN) Safe method is one way to systematically identify substandard and unsafe actions by considering the error taxonomies associatedwith various scenarios for a maritime system. The results are based on analysis of the role of the human element in commonly reportedunsafe actions when interacting with equipment and other systems. Furthermore, patterns of influencing shaping factors were observedon the basis of data processing; the aim of this study was to promote safety culture and provide an opportunity to improve safety at sea. Seafarers are one of the engines driving economic growth in the maritime sector. The International Maritime Organization (IMO) estimated that there were around 1.5 million seafarers around the world serving in international trade in 2012. Data collected by the Marine Accident Inquiry Agency (MAIA) have shown that human casualties in maritime accidents around Japan have shown an increasing trend over the last ten years (figure 1). Marine accidents have increased with the number of ships. They are known to be caused by human, environmental, and technical factors. Human errors is inseparable from the human element that influences mariner’s decisions and actions. Improving the performance of a seafarer is one of the most important tasks in ensuring safety at sea. The number of qualified sailors has not kept pace with the increasing number of ships. A look at maritime casualties reveals that 96% of all accidents can be attributed to the human element (MAIB, 1991; UK P & I Club, 1999; Grime, 1996); a study concluded that 60% of all accidents are directly caused by human error, whereas a further 30% of accidents are indirectly caused by human error. Thus, the human element has a strong impact on maritime accidents. Therefore, improving the living conditions on ships and ensuring the competence and qualifications of the crew are important to maritime safety. The objective of this study was to analyze new methods to pinpoint unsafe actions attributable to the human element. The role played by human element interactions can be used to systematically identify substandard and unsafe actions. 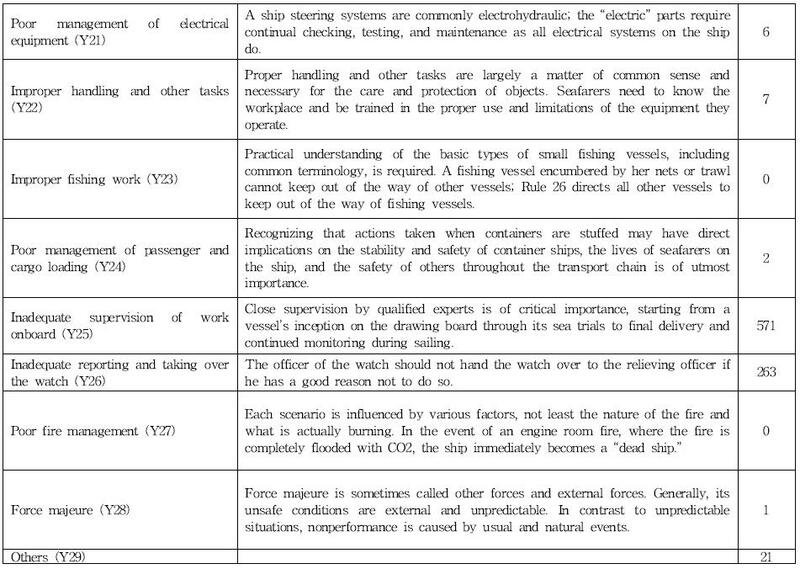 The Personal Identification (PIN) Safe method uses error taxonomies associated with typical scenarios conditions on a ship to find patterns of unsafe actions. The results of this analysis can hopefully be used to improve the safety culture at sea. The investigator starts with the immediate actions and events surrounding the incident and then works backwards to uncover contributing causes (Rothblum et al, 2002). In terms of human errors, those immediately linked to the incident are typically “unsafe actions.” There are two types of unsafe actions: errors and violations. Errors represent the mental and physical activities of individuals who fail to achieve their intended outcome, that is, the results of the person’s action are not as expected. On the other hand, a violation is when the person’s action reflects a willful disregard for standard operating procedures or regulations (even though they probably did not intend to cause an incident). The principle focus of post-accident (or post-catastrophe) investigations has been on performance failures that immediately preceded an accident. These are termed active failures: human error or violations having an immediate impact on the integrity of a system and others. However, the scope of accident inquiries has widened considerably to also include latent failures committed during the design, management, and organization. Single failures are common. Improvements to the interaction between human operators and the technology used in maritime transport systems have to be considered. A conditioned response is the behavior of a body to a process occurring owing to the effect of some antecedent stimulus or agent from a system condition. The information is processed in the system memory depending on the condition of the body. Every person has a different perception of a given condition or situation. Generally, a dynamic situation makes decisions and actions quite difficult. Analysis of a subject needs to be comprehensive when a classification system or taxonomy is used as a way to organize knowledge. Hollnagel (1998) proposed a cognitive reliability and error analysis method (CREAM) for error taxonomy, and Grech et al. (2008) used ten of the twenty-two modes of CREAM. Rivai et al. (2011) also used this method for error taxonomy. Taxonomies that emphasize observable behaviors are of practical value. The UK P & I Club (1999) determined error taxonomies by using the following code to classify errors on the basis of the information processing stage: 1 = control failure; 2 = omission or repetition; 3 = reversal; 4 = wrong action; 5 = wrong object; 6 = too fast; 7 = too slow; 8 = too early; 9 = too little; 10 = too much; 11 = wrong input; 12 = miss-calibration; and 13 = unclear (figure 2). The maritime transport system is a very complex and large-scale socio-technical environment system consisting of human actions that interact with each other and operate in a physical environment. The main elements of the system are objects of transport, infrastructure, and facilities; these are linked by an information system and transport-related activities (Zhejiang, 2001). The human element is very important: it designs, develops, builds, operates, manages, regulates, and interacts with other elements of the system. These elements are embedded in very complex, interdependent, and dynamic relationships. The IMO assembly adopted resolution A.850(20), which defined the “human element” as “a complex multidimensional issue that affects maritime safety and marine environmental protection” that “involves the entire spectrum of human activities performed by a ship’s crew,shore-based management, regulatory bodies, recognized organizations, shipyards, legislators, and other relevant parties.” This means that the human element is a component of a system. The maritime system is a system composed of people (figure 2). Technology–human interactions include perception, decision-making, and performance; human–environment interconnections include physical and mental performance, fatigue, and risk taking; and human–organization interconnections include fatigue, knowledge, skill, and work practices. In this system, people (man) include the captain, navigator, crew, pilots, dockworkers, vessel traffic service (VTS) officer, operators, and quarantine, customs, and immigration officers. Human–technology (machine) interconnections include the ship design and equipment; these may impact people’s performance and perception. Human–environment (media) interconnections include the weather, geography, physical work environment, and regulatory and economic climates. Human–organization (management) interconnections include crew organization, company policies, and regulatory governance. Each system structure has its own characteristics. PINSafe is a strategy to identify unsafe actions and critical events associated with characteristic accidents on a ship. A comprehensive PINSafe should be able to eliminate or control unsafe acts during the lifetime of a ship. Both engineering and management solutions, especially the creation of databases to control process parameters, should be considered. Details on PINSafe involve how technical, human, and external failures lead to undesired events. Figure 3 shows one causation model, which can be referred to as the root cause of an accident or incident. The key is to understand the kind of barriers that are needed to contain the propagation of an unwanted event. The far right side of Fig. 1 shows the barriers against undesired events. The model shows that the basic initiation of any undesired event is a technical, human, or external failure or a combination thereof. Humans are the weakest link in any engineering system (Kariuki et al., 2007). This is because all engineering systems rely on human intervention in some aspect. However, many methods do not give human failure the weight it deserves as a major contributor to unwanted events. Human failure is more complex than just a single operator action. To address human failure comprehensively, a broader perspective of onboard processes should be considered, including management, procedures, training, and other factors that affect base errors. It is critical to exhaustively identify all the potential underlying causes of major unsafe actions that can be attributed to the failures of the human operator. Finite model theory (Istiarto,2013) with sample S gives the group a real number with a value of 0–1 that is called weighting or probability; this allows the odds of the occurrence of an event to be calculated. ∙ Each sample point in the sample universe is given a value denoting its probability; the sum of all probabilities for all sample points is equal to 1. ∙ To calculate the odds for event A, all the events that make up sample A are added together. 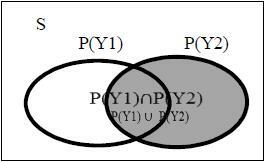 A is the number of these probabilities, which is denoted by P(A). Thus, the probability set ∅ is 0, and S is 1. Any accident that occurs is a union of several events where unsafe actions were taken. An unsafe action is an erroneous decision or action made by a human. 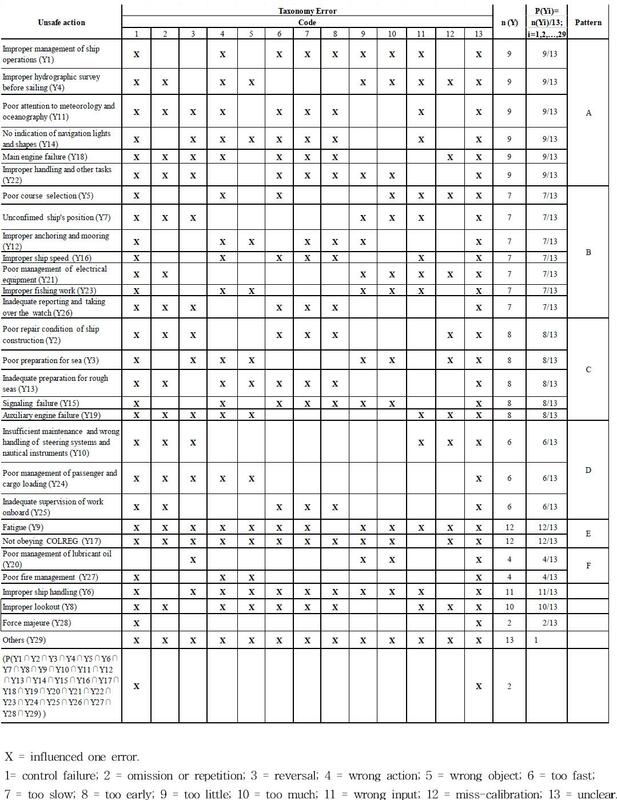 Data on unsafe actions were previously recorded by MAIA (see table 1); the data were then analyzed to determine the possible root causes of the unsafe actions in the scenario analysis model. In the PINSafe method, the models take a variety of sources and examine the root causes to overcome the limited data. 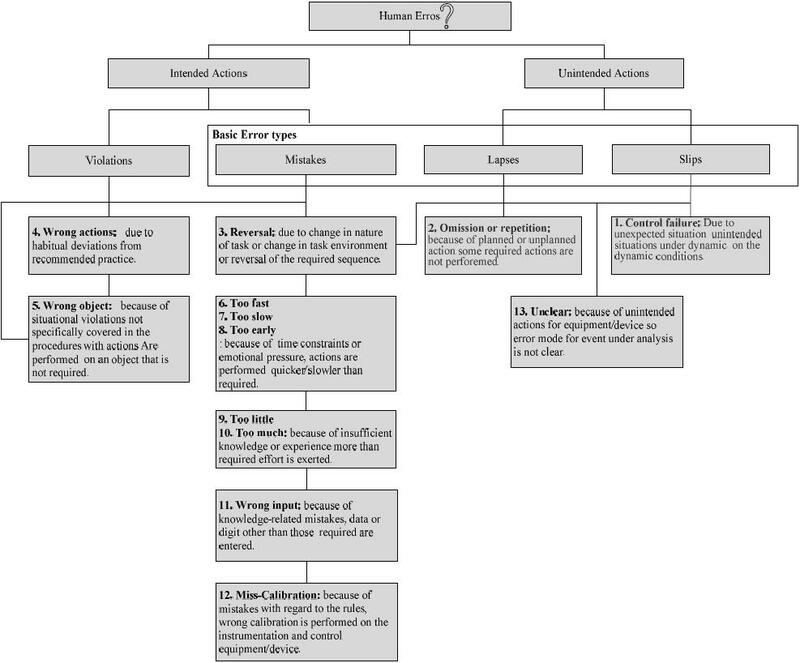 The next step is understanding the root causes of unsafe actions in each scenario; the error taxonomy (see figure 2) presented by the UK P&I Club was implemented as a sample set (see equation 5) of event probabilities. where 1–13 are codes for the error taxonomy (see figure 2) in equation 4. 1. Pattern A had a weight of 9/13 and contained unsafe actions such as improper management (Y1), improper hydrographic survey before sailing (Y4), poor attention paid to meteorology and oceanography (Y11), no indication of navigation lights and shapes (Y14), improper handling and other tasks (Y22), and main engine failure (Y18). 2. Pattern B had a weight of 7/13 and contained unsafe actions such as poor course selection (Y5), unconfirmed ship position (Y7), improper anchoring and mooring (Y12), improper ship speed (Y16), poor management of electrical equipment (Y21), improper fishing work (Y23), and inadequate report and taking over the watch (Y26). 3. Pattern C had a weight of 8/13 and contained unsafe actions such as poor preparation for sea (Y3), inadequate preparation for rough seas (Y13), main engine failure (Y18), and auxiliary engine failure (Y19). 4. Pattern D had a weight of 6/13 and contained unsafe actions such as insufficient maintenance and wrong handling of steering systems and nautical instruments (Y10), poor management of passenger and cargo loading (Y24), and inadequate supervision of onboard work (Y25). 5. Pattern E had a weight of 12/13 and contained unsafe actions such as fatigue (Y9) and not obeying COLREG (Y17). 6. Pattern F had a weight of 4/13 and contained unsafe actions such as poor management of lubricant oil (Y20) and poor management of fire (Y27). 7. 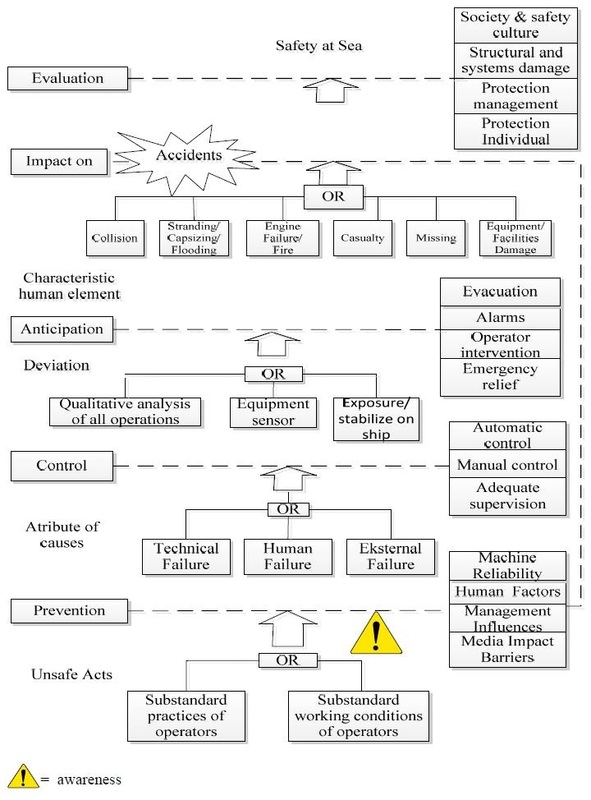 Analysis of the error taxonomy found that the root causes of control failure and unclear situations were mostly human error. Counteracting pattern A involves developing appropriate technology for human capabilities to mitigate the low visibility and restricted maneuvering of bad weather conditions and narrow waterways in Japan. For identification purposes, lights have individual characteristics in terms of color, intensity, and operation system according to the different perceptions of seafarers. Counteracting pattern D involves considering ship design problems such as steering, nautical instruments, and control issues for passenger and cargo loading without compromising the safety of the ship. The IMO/ILO/UNECE Guidelines on the Packing of Cargo Transport Units provides a common global resource for information on container stuffing. Counteracting pattern B involves improving collaboration by operation arrangements and maintaining interpersonal communications (mental, physical, skill sharing) with other seafarers on the ship. Counteracting pattern C involves cooperation between management and seafarers on special issues such as critical situations at sea; moreover, engine conditions should be improved. Counteracting pattern E involves maintaining the physical and mental conditions of the seafarers to create a social culture of safety. When the body and mind are fatigued, noncompliance will occur, and rules may not be obeyed. Team cooperation is needed to minimize rule violations. Seafarers should be reminded of the basics of COLREG. Counteracting pattern F involves comprehensive database management technology for the maintenance engine to aid human decisions. The development of monitoring technology for database management will mitigate poor human decisions such as neglecting lubricant oil, which contribute to engine failure. Poor monitoring of lubricant oil prevents moving components from working smoothly; friction would quickly destroy these surfaces and cause engine failure leading to fire. Thus, preventive and corrective maintenance is required. Every vessel shall at all times maintain a proper lookout by sight, hearing, and all available means appropriate to the prevailing circumstances and conditions to make a full appraisal of the situation and the risk of collision. Keeping a continuous and proper lookout is an important element of safe watch-keeping, especially when visibility is restricted, and includes lookout through hearing, radar, VHF, AIS, and sight. Counteracting pattern D involves mitigating ship design problems such as steering, nautical instruments, and control issues for passenger and cargo loading without compromising the safety of the ship. The IMO/ILO/UNECE Guidelines on the Packing of Cargo Transport Units provides a common global resource for information on container stuffing. 1. All failures involve some kind of deviation from safe operation methods. Unsafe actions or deviations from standard practice is of interest, even though automation and ergonomic design are widely used in other industries. The PINSafe database helps in the determination of error patterns by seafarers for reducing the occurrence of errors. 2. The PINSafe strategy involves processing information on the worker to immediately recognize physical response or unsafe actions to improve cognitive function. 3. The framework for qualitative assessment combines the error taxonomy in the set of a system, which is a union of unsafe actions that have occurred. This method is one way to recognize patterns of unsafe actions. 4. Root cause analysis of the error taxonomy found that control failure and unclear situations are mostly caused by human errors due to unintended actions, which mainly stem from a lack of information or misinformation. 5. In the case of mistakes, the mistaken intention tends to be very resistant to contravening evidence. People tend to ignore feedback information that does not support their expectations of the situation. This is one reason that we need a database to qualitatively assess the attributes of unsafe actions to improve safety culture. 1.Marine Accident Inquiry Agency of Japan "Statistics of Accidents 1998–2008"
2.Marine Accident Investigation Branch (MAIB), UK (1991) "Annual reports," London, p. 4. 3.UK P&I Club (1999) "Ten-year trends in maritime risk analysis of major claims—a digest," London. 4.Grime, R.P., Zhao, I., Wilson, P.A., Hu, Z., Wang, F (1996) "Human factors," Proceedings of the International Conference on Preventing Collision at Sea, Maritime Collision and Prevention 1 pp. 314-329. Epson, Surrey Chiavari Publishing. 5.A. Rothblum, D. Wheal, S. Withington, S.A. Shappell, D.A. Wiegmann (2002) "Improving incident investigation through inclusion of human factors," United States Department of Transportation—Publications & Papers 32. http://digitalcommons.unl.edu/usdot/32. 6.E. Hollanagel (1998), Cognitive reliability and error analysis method (CREAM). Elsevier. 7.M.R. Grech, T.J. Horberry, T. Koester (2008), Human Factors in Maritime Domain, CRC Press Taylor & Francis Group, pp. 152. 8.UK P&I Club (1999) "Ten-year trends in maritime risk analysis of major claims—a digest," London. 9.L. Zhejiang (2001) "Identifying and reducing the involvement of human element in collision at sea," Thesis and Dissertation, World Maritime University, Malmö, Sweden, p. 1. 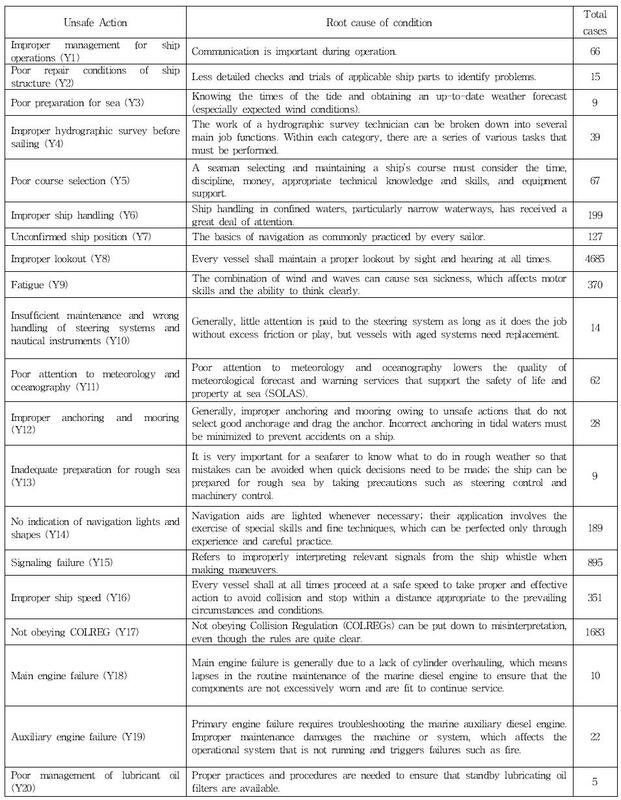 10. International Maritime Organization (1997) "Human element vision, principles and goals for the organization (Resolutions A.850(20))," London. 11.S.G. Kariuki, K. Lowe (2007) "Integrating human factors into process hazard analysis," Journal Science Direct: Reliability Engineering and System Safety 92 pp. 1764-1773. 12.E. Charniak, R.P. Goldman (1993) "A Bayesian model of plan recognition," Artificial Intelligence 64 pp. 53-79 Elsevier. 13.M. Marseguerra, E. Zio, M. Librizzi (2007) "Human reliability analysis by fuzzy 'CREAM'," in Risk Analysis 27(1). 14. A. J. Ross, B. Wallace, J. B. Davies CASP (2003) "Technical note: measurement issues in taxonomic reliability," Safety Science, Elsevier. 15.Istiarto (2013),"Teori Statistik dan probabilitas", Civil Engineering Faculty, University Gadjahmada, Indonesia. Textbook of lecturer. http://istiarto.staff.ugm.ac.id/docs/statpro/SDP04%20Probabilitas.pdf. 16.Haryanti Rivai, Kohei Hirono and Masao Furusho (2012). Quantitative Model of Collision Causes in Japan. The Journal of Japan Institute of Navigation, 127, pp. 125-132. 17.M.L. Lohberger (2010) "Suggested improvements for ship-installation collision risk models to reflect current collision avoidance systems," Master's Thesis, Faculty of Science and Technology, University of Stavanger,pp. 24. 18. Cockcroft, A.N. and Lameijer, J.N.F (1972) "A guide to the collision avoidance rules in international. regulations for preventing collisions at sea," 1972 in force 1977, Textbook, Stanford Maritime London. 19.Japan Captain's Association (2009) "A guide to ship handling" in The Best Seaman Ship, International Mariners Management Association of Japan. 20.Lloyd Register (June 2009),"Technical matters in a Lloyd's register publication containing case studies covering technical issues and their solutions." 21.Japan Transport Safety Board (2008) "Marine accident investigations report for fire"